There are many jobs for felons out there, across a wide range of industries. 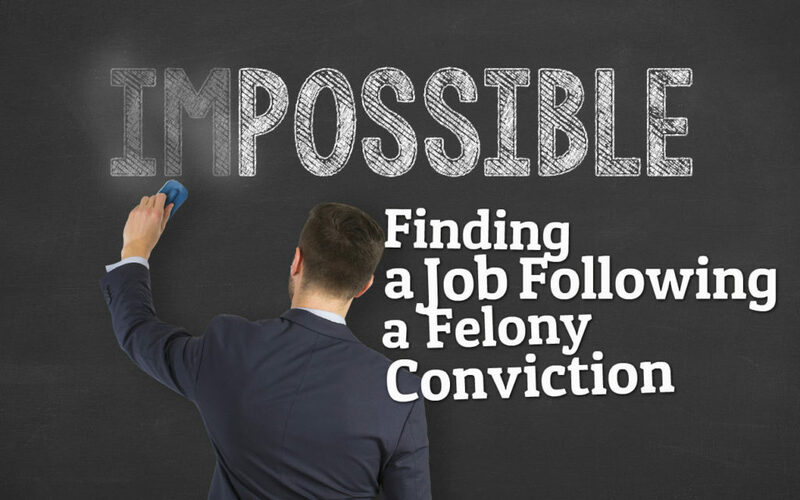 You just have to know where to look for felon-friendly jobs, and find companies that will hire ex-cons. Many felons don’t realize that part of the problem is wasting time and energy trying to apply for jobs that someone with a criminal record simply cannot get. This can be a hard reality to accept, especially if you have college or professional degree and have previously held high-paying jobs. We have many people contacting us with questions whether they can work as accountants, or medical professionals, teachers, or social workers, because this was their previous line of work and education. Unfortunately, in 99% of cases the answer is “no”. However, the good news is that having a felony does not automatically mean the end of your professional life. You just have to be smart, and look for positions that you are more likely to get. Doing so will save you a lot of time and aggravation. While you may not like the types of jobs that are currently open to you, the best thing you can do is still accept a job, and start working. This will, first and foremost, give you some money to live of off, and second will help you reintegrate back into society. Where NOT to look!!!! It may come as a surprise to you that many minimum wage jobs in big companies, which are labor intensive and stupid will NOT hire someone with a criminal record. YES, we are talking about Walmart, Target, McDonalds, Costco, Home Depot, KFC, UPS, and similar establishments. In fact, any large company that has a recognizable brand name, will most likely not hire you. They have corporate policies that discourage hiring felons, and in addition they have plenty of people without convictions who want these jobs. So you face stiff competition, and a lack of good will on the part of the hiring managers – that is a loosing combination! If you still want to give it a shot, here is an updated listed of companies that hire felons. The secret to finding felony jobs is to look for positions in small privately owned businesses. These business owners don’t have a corporate agenda and a bazillion rules to follow. They either like you and want to give you a chance, or they don’t. Moreover, consider the fact that we live in a country that has the highest rate of incarceration among wealthy, first-world nations. This means that possibly this boss has had a felon employee in the past, has a relative or friend who was a felon, or maybe was one him/herself! This fact alone would make him a lot more open to the idea of hiring you, granted you are honest and have the qualifications for the job. In addition to these, just try to think creatively and outside the box. One big secret to success is to look for jobs that no one wants to do. For example, there is a now famous and extremely successful ex – con, Chuck Gallagher, whose first job out of prison was selling cemetery plots door to door. There are hundreds of small businesses in large metropolitan areas. You just need to consider what skills you already have that may be a good fit. Simply go door to door, and talk to owners of these companies. Tell your story. Be honest about the mistakes you have made, and stress that you have learned from the past. Another strategy that has worked for many felons is to look for jobs that pay tips and commissions. For example: sales, waitressing, or bar tending. While you get steady income with base pay, you can also earn a lot, if you excel at the job. As a top performing waiter or salesman, you can easily earn around $500-1,000 a week on tips. This can be a great opportunity for you, if yo have good people skills, are not shy, and can think quick on your feet. Once you start working, the key to success is to be the best employee in that company. This means the hardest working, nicest, most punctual and reliable employee, whom your boss simply LOVES. If you perform indispensable service, the owner will most likely raise your pay and eventually promote you to a managerial position. From that point on, you can either stay, if you are satisfied, or look for another job, with an increased level of responsibility and pay. Other employers are a lot more likely to consider you, given your positive track record and great references. In fact, every felon who has build a successful career, attributed their success to taking the jobs that were initially offered, working extremely hard, and slowly climbing their way to more prestigious, better paying jobs. Don’t get discouraged if at first you find yourself hopping from one of these jobs to the next. This can be a good thing in the long run, because it will help you figure out where your professional strengths and interests are. If you are working hard, but you are not being promoted, consider looking for another job. The jobs that we have listed here can help you do just that. They all require skills in a particular niche or trade, and if you are good, there is always room for you to make money. You can work for a few years to learn the ropes and secrets of a particular business, and then venture out on your own. Many felons have gone from being managers in a small business to opening up a similar company themselves, in a different location.